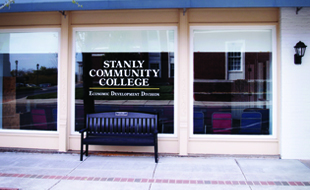 Students at Stanly Community College (SCC) received fall scholarship funding through the Golden LEAF Scholarship program for the North Carolina Community College System. 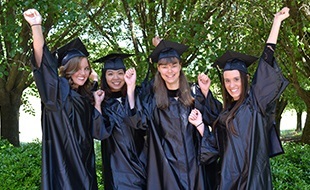 The Golden LEAF Scholarship program, designed to help North Carolinians attend the state’s community colleges, is funded through a grant from the Golden LEAF Foundation. The scholarship can be used for tuition, fees, books, supplies, transportation and childcare expenses related to attending classes during the 2018-2019 academic year. Eligible students must demonstrate financial need and reside in rural counties that are tobacco-dependent and/or economically distressed. Scholarships are available for both occupational and curriculum students and are awarded during the fall, spring and summer semesters. Students who were awarded scholarships include: Amy Whitaker/Early Childhood Education (Mars Hill), Gary Williams/Computer Engineering Technology (Albemarle), Tavion Lipford/Early Childhood Education (Eden), Keshia Dowe/Human Services Technology (Badin), Jeffrey Hamilton/Computer Integrated Machining (Polkton), Brittany Brooks/Associate Degree Nursing (Locust), Shawanna Long/Associate Degree Nursing (Albemarle), Omary Baez/Business Administration (Tarboro), and Arthur Dube/Carolina Auction Academy (Albemarle). The Golden LEAF Foundation is a nonprofit organization established in 1999 to help transform North Carolina’s economy. The foundation receives one-half of North Carolina’s funds from the 1998 Master Settlement Agreement with cigarette manufacturers and places special emphasis on assisting tobacco dependent, economically distressed and/or rural communities across the state. The Golden LEAF Foundation works in partnership with governmental entities, educational institutions, economic development organizations and nonprofits to achieve its mission. For more information about the foundation, visit www.goldenleaf.org or call (888) 684-8404. 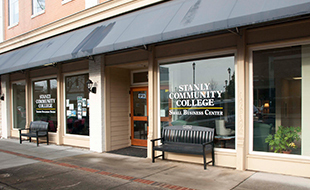 Students interested in applying for a Golden LEAF Scholarship should contact SCC’s Financial Aid Office at (704) 991-0302. Pictured from left to right, seated: Keshia Dowe, Brittany Brooks, and Shawanna Long. Standing: Arthur Dube, Jeffrey Hamilton, and Gary Williams. Not pictured: Amy Whitaker, Tavion Lipford, and Omary Baez.